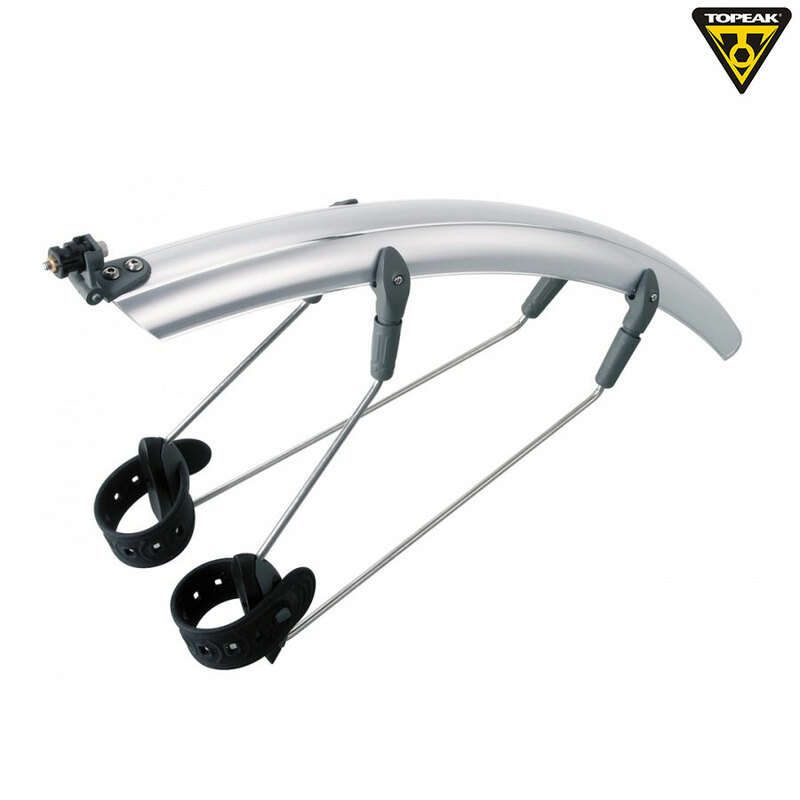 These new polycarbonate and stainless steel mudgaurds offer road riders great spray protection. Unique quick release mounting system requires no tools. Fits road tyres up to 700x23C.